Great Teams By Don Yaeger Audiobook Download - Christian audiobooks. Try us free. What makes a team great? Not just good. Not just functional. But great? Over the last six years, long-time Sports Illustrated associate editor Don Yaeger has been invited by some of the greatest companies in the world to speak about the habits of high-performing individuals. Delivering an average of 80 keynote speeches per year, Don was approached by his most consistent client, Microsoft, to develop a talk on what allowed some teams to play at a championship level year after year. From Microsoft and Starbucks to the New England Patriots and San Antonio Spurs, what do some organizations do seemingly better than most all of their opponents? Don took the challenge. He began building into his travel schedule opportunities to interview our generation’s greatest team builders from the sports and business worlds. During this process, he has conducted more than 100 interviews with some of the most successful teams and organizations in the country. From those interviews, Don has identified 16 habits that drive these high-performing teams. Building on the stories, examples, and first-hand accounts, each chapter in Great Teams comes with applicable examples on how to apply these characteristics in any organization. Great Teams is the ultimate intersection of the sports and business worlds and a powerful companion for thought leaders, teams, managers, and organizations that seek to perform similarly. The insight shared in this book is sure to enhance any team in its pursuit of excellence. 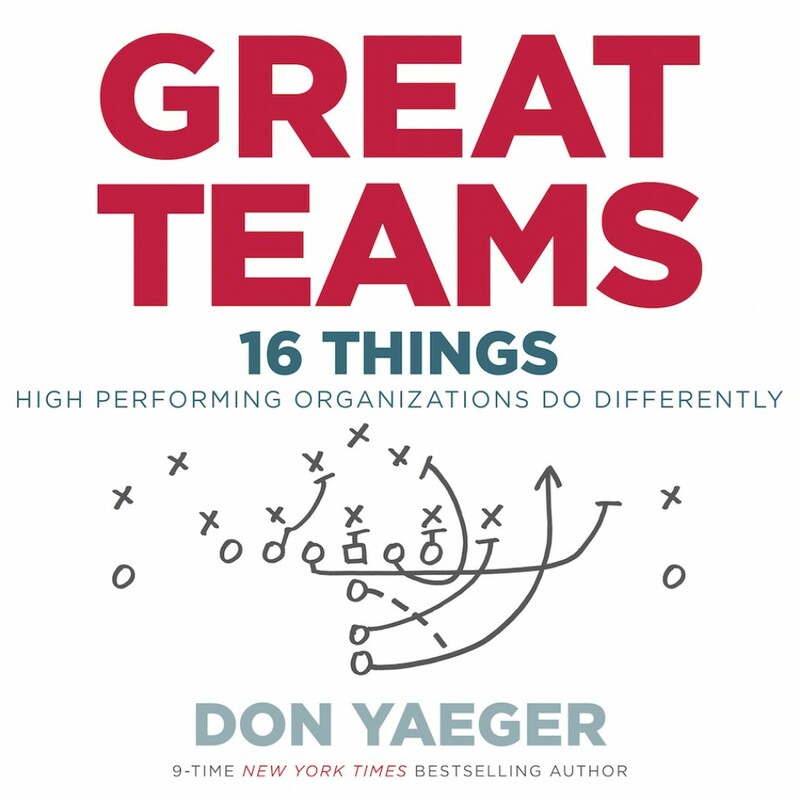 “IT TAKES A SPECIAL FORMULA TO CONSTRUCT CHAMPIONSHIP QUALITY TEAMS AND IN THIS BOOK BY DON YAEGER YOU WILL BE ABLE TO SEE HOW GREAT TEAMS ARE FORMULATED.